This hotel in Goleta, CA is a beautiful addition to the technologically savvy Goleta area. Less than a mile away are many Goleta High Tech Companies and Raytheon Corporation. There is always something for everyone with plenty to see and do at the Hampton Inn® Goleta, CA hotel. Relax and unwind at the beautiful Goleta Beach just over a mile away. Take a stroll on famous State St. or Sterns Wharf in Santa Barbara, CA and enjoy lots of shopping, musicals and museums. Plus, we're just minutes away from the world-renowned dining in Santa Barbara. Our hotel in Goleta, CA is conveniently located in the heart of Old Town Goleta, within eight miles of downtown Santa Barbara. 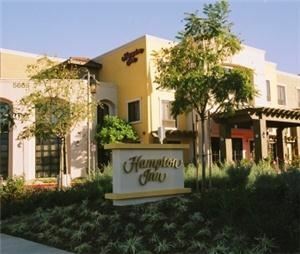 The Hampton Inn Goleta, CA is situated perfectly between the Santa Barbara Airport and the University of California Santa Barbara. With such a great location and so many activities, you will be sure to enjoy your stay at the Hampton Inn® Goleta, CA hotel from the Santa Barbara Zoo, Sterns Wharf, beautiful California beaches, and of course, Wine Country all just minutes away. Our hotel has many exciting amenities available to you for your convenience: •	Complimentary On The House hot breakfast •	Complimentary high-speed Internet access •	Complimentary in-room movie channel(s) •	A complimentary copy of USA TODAY® •	Complimentary coffee and tea •	Hilton HHonors® loyalty program •	Our unconditional 100% Hampton Guarantee ensures your travelers complete satisfaction. If they are not completely satisfied, we don’t expect them to pay. Whether you're here on business or vacation, you'll want a hotel in Goleta, CA that offers all the comforts you long for. Look no further than the Hampton Inn® Goleta, CA for all your vacation needs.